This is the second style for the 12th generation of Toyota Corolla with the first one which is the Toyota Hatchback having been released this year. So, what does the new Toyota Corolla 2020 has to offer for its followers? You can choose to have a manual transmission with the 6-speed gearbox or a variable Dynamic-Shift continuously variable transmission (CVT) which is a type of automatic transmission which is enhanced to make the engine running at its torque peak resulting to maximum driving and fuel efficiency. The inside features of the Toyota Corolla 2020 also have major improvements but still maintaining the classic durability and comfortable ride for anyone. There is an instrument panel with its slimmer upper surface that interlocks with the door trim for a spacious environment. This instrument panel has an available 8-inch multimedia touchscreen for all grades and a 7-inch multimedia touchscreen for the L grade and is easily accessible and viewable by both the driver and the front passenger providing convenience in accessing touchscreen technology. This touchscreen component features a powerful audio system which has an Entune App Suite that also has additional remarkable features including Amazon Alexa voice assistant, Apple CarPlay, and Wi-Fi Connect. These are features that will make your driving truly enjoyable. Its interior has various materials involved with piano-black rhythms. There is more room for the driver since the front seats are imperceptibly lower and rearward in its innovation. It has also sustained its traditional seating capacity of five persons. Additional driving features for the Corolla 2020 includes a scale of features including automatic high beams, dynamic radar cruise control, lane departure alert, lane tracing assist, pre-collision system, and road sign assist. There are five grades for the Toyota Corolla 2020 sedan, namely L, LE, and XLE models that uses a 1.8-liter engine and the XSE and SE models with a 2.0-liter direct-injection inline four-cylinder engine. These engines are also physically smaller and lighter which improves in reducing the center of gravity for the sedan which further augments the overall balance of the 2020 Toyota Corolla sedan. With regards to the outside look, Toyota did not change the wheelbase of the sedan by maintaining it at 106.3 inches and standard 16-inch wheels. It also features LED exterior lights with enhanced front-lighting adaptive systems making it more efficient in driving especially at nighttime. Notable outside feature includes a shorter frontal overhang but longer rear overhang. Do you want to know some facts about the Toyota company? Toyota was once in the loom works industry before becoming an automotive maker. It was founded as Toyoda Loom Works in 1924 by Sakichi Toyoda. The present company, Toyota Motor Corporation, was established in 1937 by Sakichi’s oldest son, Kiichiro Toyoda. A change was inevitable prompting the company to modify its name into the present Toyota. It came as a winner from a name competition they held. The eight-stroke characters in the Japanese writing system are considered lucky and associated with wealth and good fortune and it is really fortunate for them since they are one of the leading automobile makers in the world. You will also notice the letters of TOYOTA in the car’s emblem which was created in October 1989. It consists of two ovals that are a symbol for strong customer and company relationship and one oval that unites the two letter “T”. The space in the background is also a symbol for the massive Toyota technology expansion plus unlimited future potential. Toyota Motor Company does not hesitate in spending billions of dollars on their research and development. This is their way of providing the best driving experience for their worldwide customers. In fact, they are the world’s first manufacturer of hydrogen fuel-cell car which is in the form of the Toyota Mirai. They also filed one thousand patents for the Toyota Prius in 2012 which is a remarkable feat showing innovation in automobile technology. 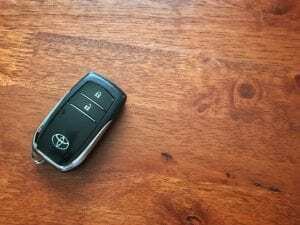 They are also the first manufacturer of cars that have no belt in the engine by replacing the AC, alternator, steering pump, and water pump with electric motors which was seen in the 2010 Toyota Prius. Aside from these car models, they are also supporting the development of flying cars such as the SkyDrive which was invented by a startup company called Cartivator belonging to a group of young Toyota engineers. They also experiment with solar-powered cars which they did on the roof of the 2017 Prius Plug-in Hybrid that provides power for the internal car components as well as charge the battery of the car when it is in park mode. Toyota Motor Company also has its own in-house tuning shop and it is called the Toyota Racing Development which they use for improving the performance of all their cars as well as providing support for Toyota racers around the world. The company currently owns five automobile brands including Daihatsu, Hino Motors, Lexus, Scion, and holds a small percentage in the Subaru Corporation with 16.66% and Isuzu with 5.9%. Toyota also has strategic joint-venture projects with GAC Toyota and Sichuan FAW Toyota Motor which are both located in China and Toyota Kirloskar which is located in India. 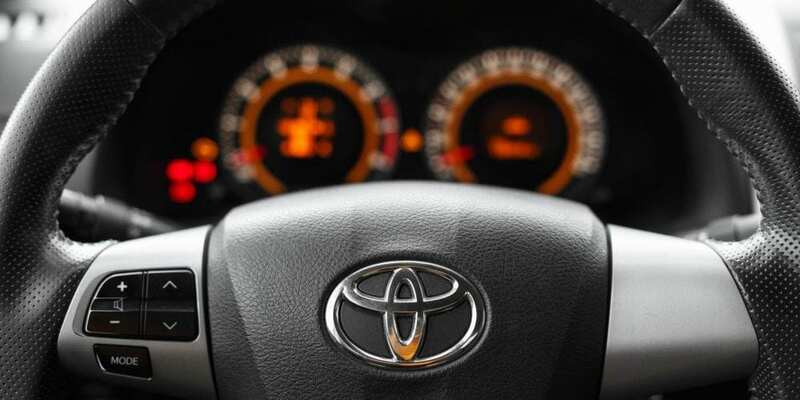 They are also cognizant of the well-being of their customers by engaging after-sales services which were seen during the periods of 2009 to 2011 by recalling all Toyota vehicles with defects. 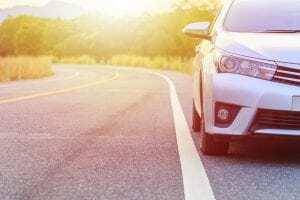 These defects include unintended acceleration, steering wheel failures, and even malfunctioning power window switches. They also offered a free repair to affected cars which has defective inflators and propellant devices with Takata airbags. Statistically worth mentioning is that Toyota vehicles produced twenty years ago (and even more!) are still being driven in most cities in the world.